Nokia’s second phablet to be announced at Nokia World late last year, the Lumia 1320 has already hit the India market. The device is the less endowed sibling of the Lumia 1520. These two are the current and only devices in Nokia’s foray into the phablet world. At 6 inch, the Lumia 1320 is quite large for the average hand, but smartphones sales tell a story of a spike of interest in the phablets in the year 2013. 2014 looks to be an even better year for these 6 inch monsters, basically anything above 5 inch and less than 7 inch is in the phablet category that was defined as the device which is too large to be a smartphone and quite small for a tablet. The price is Rs 23,999 as listed at Nokia World in Abu Dhabi by Stephen Elop, the price then was in US Dollars at $399. 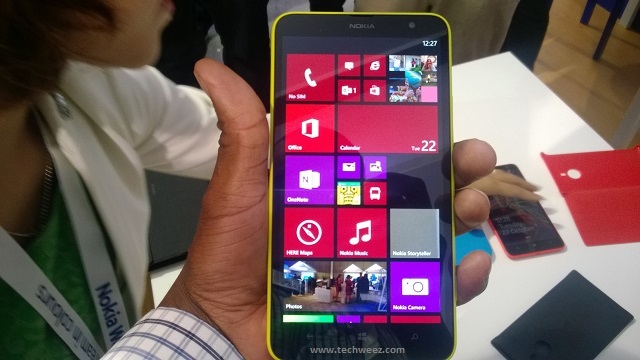 There are reports that we will be getting the Lumia 1320 in Kenya within this month but this is yet to be confirmed. What do you think, is Lumia 1320 your thing?